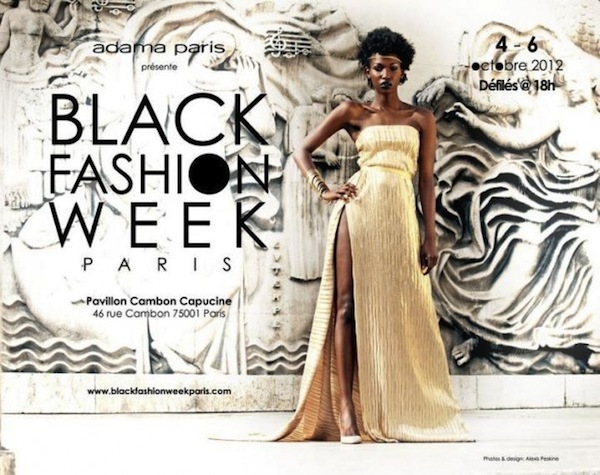 Adama Ndiaye, a Senegalese-born French fashion designer realised a long-held ambition when she staged the first 'Black Fashion Week' in Paris aimed at bringing African talent to a global audience. Adama Ndiaye launched the event to showcase the best the continent has to offer but dismissed criticism that the show excluded others who were not black. "'Why not a White Fashion Week?' some have asked. But Paris Fashion Week is already white!" said Ndiaye, who is the creative director behind Adama Paris label and has been organizing Senegal's Dakar Fashion Week for the past decade. "We wanted to simply promote beyond African borders designers who are well-known in Africa or in their country but who don't have access to the global market," she said, explaining that in Africa fashion was not yet seen as an industry in its own right. Even when designers put together collections, they were often unable to sell them, she said, adding that fashion week was not just an opportunity for designers. "For the models, the majority of them black, it's also an occasion to get on the catwalk since most of the shows look for more expensive white models -- some of whom dropped out of 'Black Fashion Week' to do better-paying gigs," she said. Ndiaye, who held a Black Fashion Week in Prague last year and will take the show to Montreal in November and Brazil's Salvador de Bahia next March, said the fashion was not only intended for black people. "These designs are not made by blacks for blacks," she said. Ultra-feminine styles showcased came in a variety of cuts with elements such as puff sleeves and backless dresses. Fabrics ranged from silk and satin to embroidered cotton. 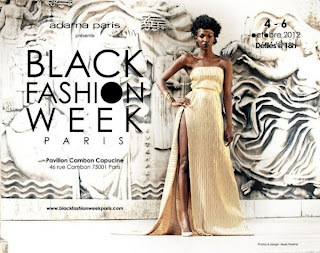 Around 15 black designers from Africa or living in France, Haiti or the United States, presented their collections at the chic Pavillon Cambon Capucines in Paris. Visitors to the event, which began on Friday and ended on Saturday, included Senegalese singer and tourism minister Youssou N'Dour.